The maximum amount that can be awarded in an unfair dismissal case is 2 years’ remuneration (section 7, Unfair Dismissals Act, 1977). I had never seen it awarded until this case, DHL Limited and Michael Coughlan, in which Mr. Coughlan was awarded €72,042.88 by way of compensation. On the 28th July, 2017 the Labour Court handed down its decision in an appeal by the employer of the previous WRC adjudicator decision in the employee’s favour. The background to this case is an WRC adjudicator decision of 30th January, 2017 to decide that the employee should be reinstated in his job as a DHL driver. Mr. Coughlan was employed as a van driver for 11 years until his summary dismissal in November, 2015. Mr. Coughlan brought a claim for unfair dismissal to the WRC and the Adjudicator decided that the sanction imposed on Mr. Coughlan for an accident involving his vehicle was, “disproportionate having regard to all the circumstances.” She ordered reinstatement from September, 2016, when the WRC hearing was held. 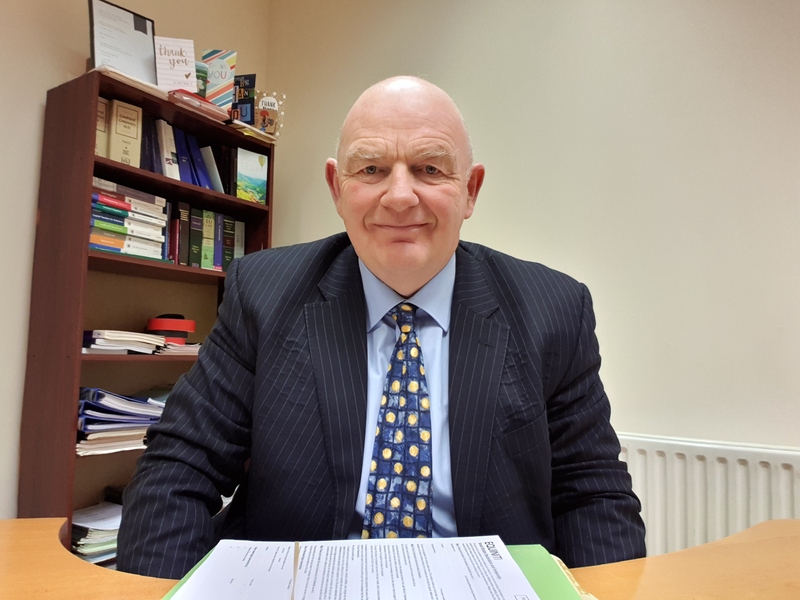 Mr. Coughlan had previously accumulated written warnings, with a duration of 12 months each, for a couple of incidents involving his driving, but had no such incidents for 2 years prior to the incident in 19th October, 2015 which led to his dismissal. Mr. Coughlan, at the investigation meeting, admitted that he had misjudged the space available to him while passing another vehicle at the Cork Depot of the employer, and apologised. The damage to the van cost €2,500 to repair. 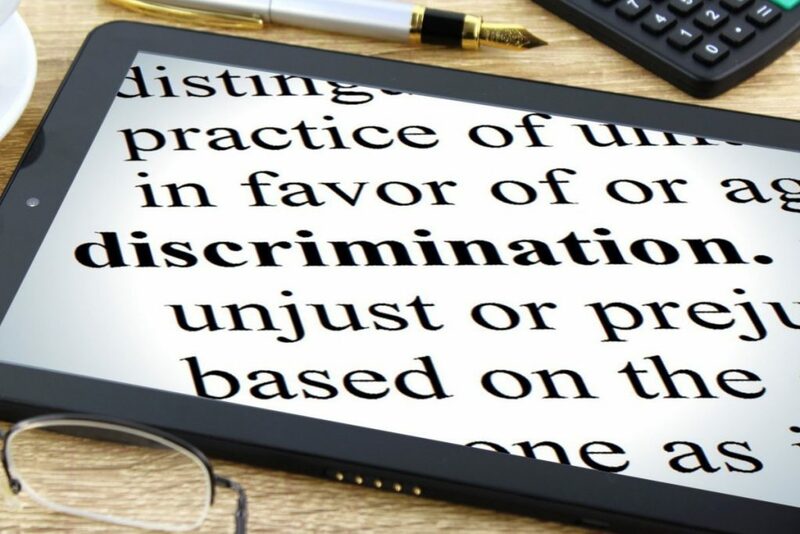 Following the disciplinary hearing the employer decided to dismiss Mr. Coughlan for gross misconduct involving the incident and damaging of company property. However, the employer’s letter advising him of his summary dismissal made reference to his previous driving problems, even though the last warning he had was expired for some time. The employer, in its response to Mr. Coughlan’s appeal, relied on his previous record of driving incidents and written warnings, and gave evidence that DHL could not rely on the employee to drive the company vehicles safely and no other option, for example, redeployment, was open to the employer on this occasion. The head of operations of the employer gave evidence that he felt it appropriate to take the previous driving record of Mr. Coughlan into account when hearing his appeal to the dismissal, notwithstanding that the previous warnings had expired. The Labour Court found that Mr. Coughlan was confronted with multiple accounts of misconduct at the disciplinary hearing, even though there was no reference to multiple allegations in the letter inviting him to the hearing. The letter only referred to his failure to protect and safeguard company property (the van). The Labour Court also found that the employer’s decision to dismiss was motivated, partly, by what it saw as its duty of care to the public, and safety grounds; however, this was completely different from the subject matter contained in the letter inviting Mr. Coughlan to the disciplinary hearing as the letter stated he was being invited to meet the allegation of ‘failure to protect and safeguard company property’. The Labour Court also found that the grounds for summary dismissal without notice are very restricted, as can be seen from established jurisprudence in relation to dismissal, and a reading of Section 8 of the Minimum Notice and Terms of Employment Act 1973, which requires very bad behaviour of such a kind that no reasonable employer could be expected to tolerate the continuance of the relationship for a minute longer. As the allegation against Mr. Coughlan was that he failed to protect and safeguard company property it was held that this could not constitute gross misconduct justifying summary dismissal, that is, without notice. The Labour Court also found that the employer did not give due consideration to alternative sanctions short of dismissal, nor did it allow him to offer to pay for the damage to the vehicle. Furthermore it found that the employer gave too much weight to the previous incidents concerning Mr. Coughlan’s driving, and noted that his previous written warnings had expired by the time of this incident. The Labour Court, for the reasons set out above, decided Mr. Coughlan was unfairly dismissed. It took into account Mr. Coughlan’s attempts to mitigate his loss by seeking new employment: He told the Court that in the period since October 2015 he has applied for some 23 or 24 jobs without success. He applied for various roles including that of courier, driver, general operative, cleaner and store person. The Respondent was called to a small number of interviews by named employers but no job offer ensued from any of them. 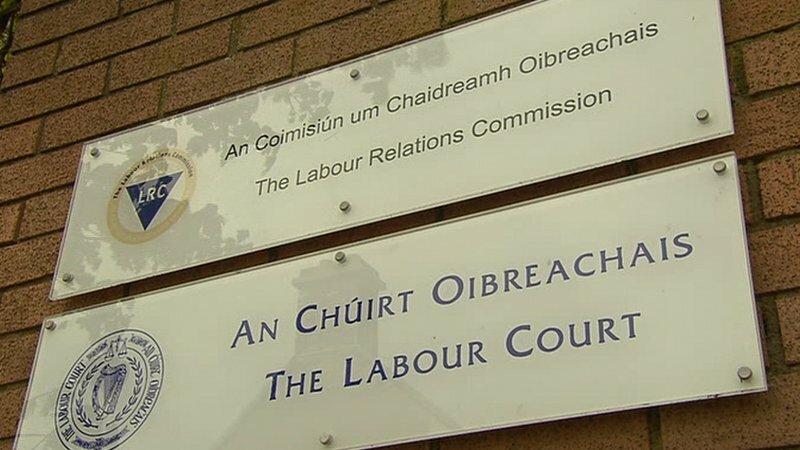 The Labour Court awarded him €72,042.88 by way of compensation, being the equivalent of 104 weeks’ remuneration, which it viewed was the employee’s financial loss to date attributable to the dismissal. There’s a Polish woman (Agnieszka) from outside Maynooth who came to me one day about 15 months ago. She told me a story I found hard to believe. But I can assure you it was true. She told me she came to Ireland about 12 years ago and got a job in a shop. Agnieszka was excellent at her job, friendly with customers and colleagues, worked hard and did everything that was required of her. She got on well in the job, so much so that after 27 months she was promoted to manager of the shop. She continued to do a good job, and got great feedback from her bosses and from the shop’s customers, and her colleagues. Then, approximately 6 weeks before she came to visit me, she was visited in her shop by the company accountant/financial controller (Phillip) and a director (Sinead). “We need to speak to you urgently Agnieszka”, they said. Agnieszka was puzzled, but not yet overly concerned. Once they entered the storeroom Phillip and Sinead quickly got down to business. They told Agnieszka the gross profit margin for the last 6 months in her store was unacceptably low, and had dropped from 23% to 19%, and they concluded there must be a “serious problem” in the shop. As Agnieszka was the manager they were there to get an explanation from her. Agnieszka was completely flummoxed and taken aback. It was like a bus had hit her. She noticed, too, that the demeanour of Phillip and Sinead was less than the usual friendly tone they adopted with her. They told her they were going to have a meeting the next day at head office, and Agnieszka was to be there, but she was not told what type of meeting it was. Agnieszka spent that evening and next morning worrying about the issue raised, and what might have caused the problem of the falling profit margin. Could it have been an error with the stocktake? Could it have been a mistake in entering a delivery or invoice? She was also concerned about the change in tone, and the way that Phillip and Sinead had spoken to her when they came to the shop. The next day Agnieszka waited anxiously in reception at head office at 2.30 pm, waiting for the meeting. She chatted with Sheila, the receptionist, trying to take her mind off the anxiety she felt in the pit of her stomach. When Sinead and Phillip arrived, they immediately said to Agnieszka, “you can bring in Sheila to the meeting, as a witness”. “Why do I need a witness?” Agnieszka asked. “You might be more comfortable”, Phillip replied. Agnieszka went in alone as she did not know Sheila very well, and, besides, she could not understand why she would need a witness if they were only going to have a meeting to try to sort out the apparent problem with one profit margin report. Once inside the office it was clear that Phillip and Sinead had one thing in mind: Agnieszka’s resignation from her job. They produced a sheet of paper, typed up, with a space at the bottom for Agnieszka’s signature. It was a resignation letter. Agnieszka was stunned, and became upset. They quickly pointed out that if she resigned they would give her a reference, and she could get another job easily enough; if she didn’t then there would be no reference and she would have great difficulty getting a job in Ireland again. Agnieszka was astounded at the turn of events. She could not believe it. It seemed like a bad dream. She had done nothing wrong, was in the job 12 years, had worked extremely hard and showed great diligence and loyalty, and, finally, it came down to this. She refused to sign. No way was she signing that letter of resignation, it would look terrible, and she needed this job. Her husband, Wojciek, had recently lost his job in a warehouse and she was the only breadwinner in her household, and they had two young children. But the pressure mounted, the afternoon dragged on, the veiled threats became more explicit, and Agnieszka was reduced to tears. After what seemed like the afternoon, but was probably no more than 1.5 hours, Agnieszka relented in order to have the meeting and the pressure stop, and just get out of there and go home, and she signed her resignation letter. Phillip and Sinead shook hands with her, reassured her she had done the “right thing”, and wished her well for the future, told her she would have her P45 and final pay within days. The next day Agnieszka could not believe what had happened, and had a sick feeling in her stomach for weeks. She began to do a bit of research online, and Googled terms like “unfair dismissal”, “constructive dismissal”, “forced resignation”, etc. The more she learned, the angrier she got. Eventually, after some prompting from friends and Wojciek, she made an appointment to see me to see what her rights were, and what redress she may have, if any. being threatened with no reference if she did not resign and was dismissed. I submitted a claim to the WRC for constructive dismissal and we were eventually given a hearing date approximately 20 weeks later. Just before the hearing, a solicitor acting for the employer in this case contacted us and offered a derisory “nuisance” type sum of money to settle the claim. I had to advise Agnieszka that I could not advise her to accept is, although it was entirely her decision. She agreed with me, though, and the case went ahead on the scheduled day. Constructive dismissal cases can be difficult cases to win because the burden of proof of an unfair dismissal shifts from the employer to the employee-remember it is the employee who has terminated the employment in a constructive dismissal case, not the employer. There are certain required recommendations I would advise any employee contemplating bringing a claim for constructive dismissal. The most important one is that the employee should, if possible, exhaust any internal grievance procedure before resigning. This did not happen in Agnieszka’s case. So, this was a concern, but not fatal as there is decided case law on this point which supports the proposition that it is not always essential. Another factor she had to face in the hearing was she was the only witness to support her version of events. 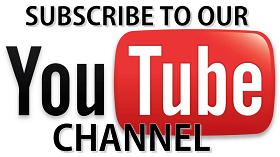 On the employer’s side Phillip and Sinead were going to put forward a consistent and different account of what happened at the fateful meeting where Agnieszka resigned. The case itself was a tough one for Agnieszka because she had no idea whether the WRC adjudicator believed her account or the employer’s, and she was, to a large extent, on her own even though she had me with her to represent her. She was still the only witness on her side of the dispute, though, and that’s never easy. But she was happy to get a formal forum where she could put her version of events, and describe how she felt about the way she was treated. She was relieved when the whole ordeal was over, and she said she felt a certain liberation from having the chance to tell her story to an impartial adjudicator, even if she did not win the case. Thankfully, that adjudicator was sufficiently impressed with her story and the explanations of what had happened, accepted that she was very poorly treated, and that she was constructively dismissed. He also made a generous award-approximately 9 months’ salary-and was very pleasing to Agnieszka. She was delighted, and felt vindicated. She had been badly and unlawfully treated, stood up for herself, put her case before an independent adjudicator at significant personal cost, and the adjudicator had agreed with her. It is worth repeating that constructive dismissal cases can be difficult to win, and each case will be judged on its particular facts and circumstances. The facts of Agnieszka’s case were strong enough to support the argument that she was put under significant duress to resign and she was not given fair procedures or natural justice. For those reasons, she won her case. I hear from people every week, however, who are considering quitting their job and wondering whether they will have a claim for constructive dismissal. 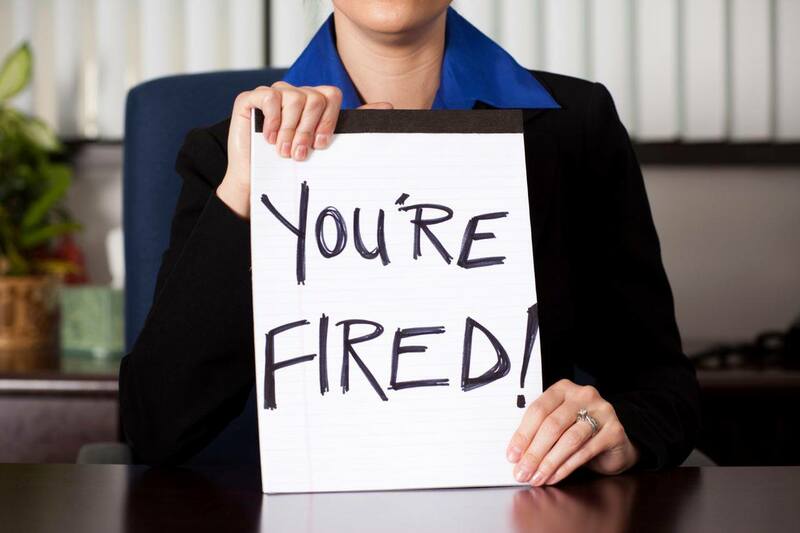 Constructive dismissal-the burden of proof on an employee is a heavy one.